A game developer, a composer and a T-shirt designer walk into a bar. Scratch that. They walk into an artist collective in Montreal, and start making weird, endearing, innovative video games together. This is KO-OP Mode. As co-founder Saleem Dabbous puts it: "We really believe in bringing in these outside voices to help make weirder games that are outside the norm." KO-OP Mode's biggest, perhaps weirdest project is GNOG, an unreleased yet critically acclaimed puzzle game. GNOG is about playing with the insides of beautiful, gigantic monster heads floating in psychedelic space. Hey, the man said weird. KO-OP Mode is an artist collective and game development studio that takes inspiration from independent music labels, inviting creative people to build their own projects and support one another in a single space. These artists aren't only from the video game world: KO-OP Mode includes people from music, film and graphic design, all collaborating on games and throwing around fresh ideas. There's no company hierarchy and, when it comes to design, there are no rules. The artist and lead on GNOG is Samuel Boucher, a T-shirt designer and graphic artist by trade. Other team members include developer Nick Rudzicz and sound man Ramsey Kharroubi, aka Marskye. GNOG isn't out yet, but it's already been named an official selection of the E3 2014 Horizon conference and it was part of the 2014 Indie Megabooth GDC Showcase, two bastions of independent game curation. "All that definitely means we feel a lot of pressure to make this an amazing game," Dabbous tells me. "Seeing the support coming from folks who are huge inspirations to us is incredible and humbling, but also terrifying because you're always your own hardest critic, and you just hope that you can live up to their expectations and the games that they themselves are making. I know I'm not the only one that is kept up at night thinking about that, and I also think that a lot of the pressure is self-created." This week, KO-OP Mode released the first trailer in a series introducing the monsters that make up GNOG. The trailer is trippy and bright with a jammin' beat, and it demonstrates a bit of how the game plays. GNOG is a puzzle game, first and foremost -- sort of like a Rubik's Cube and sort of like Polly Pocket. Twist a monster's nose and then flip its head around to play with the miniature world contained inside its cranium, and see how your actions change the other side. There's something to solve in, and around, each head. This week's shiny new GNOG trailer features a musical monster called The Ensemble: He's composed of three heads that combine to form a band. Players have to figure out how to make music spew out of each monster-instrument and then put them all together to make the heads play as a group. It looks simple in the video, but as is often the case with puzzle games, it's probably far more complex to figure out on your own. In other words, you'll have to use your (g)noggin. Fun fact: GNOG was originally named GNAH, but a trademark dispute in October forced the name change. And yes, GNOG is "short for gnoggin (the 'G' is silent)," Dabbous said at the time. 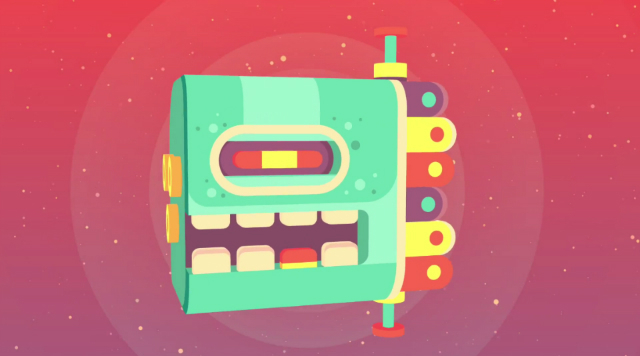 The Ensemble trailer also shows off the new and improved version of GNOG. After snagging a featured spot at an indie game block party held in San Francisco this past November (Day of the Devs), KO-OP Mode threw out the entire game and started from scratch, Dabbous says. A clean slate helped the team focus the design and revamp the art style. "It also let us stop building upon the old GNOG prototype," Dabbous says. The old prototype was messy and his team has spent the past three months crafting new, more efficient game design and level-building tools. The next step is paying for it. GNOG is currently self-funded. The team takes on contract work to help with finances, but this, of course, eats into time that developers would rather spend working on GNOG, Dabbous says. "We haven't felt comfortable seeking out funding until we felt like we've figured out exactly where we want to take the game and how we're going to do it. We're finally nearing that point though." Heads up -- GNOG brings its own brand of the Monster Mash to Steam for PC, Mac and Linux this year.